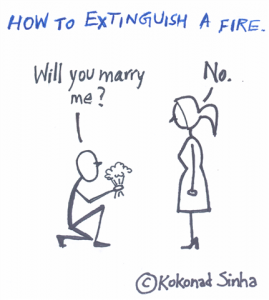 Didnt get this… how to extinguish a fire?? Oh ok… I had thought the dil would act otherwise. No bola to aag ka conflagration ho jayega!!! LOL ek lafz se bujha di! NO! Dharini: Heh heh! 🙂 Glad you liked it!